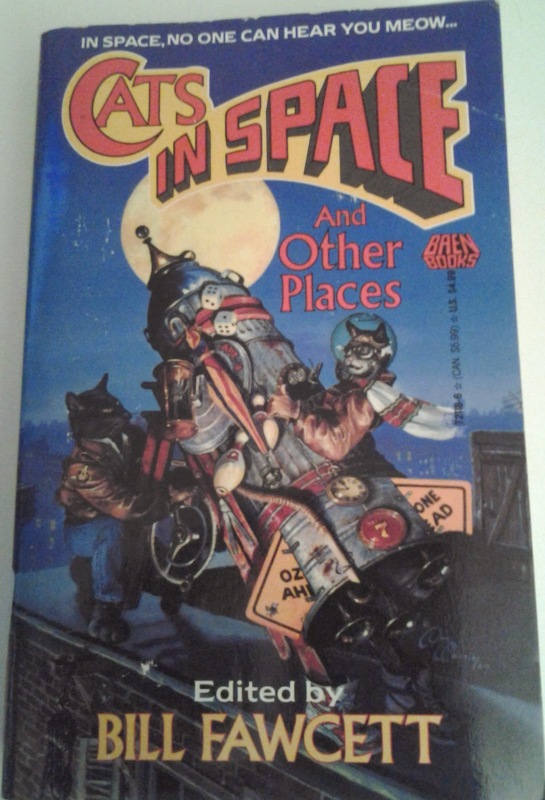 Source: Cats in Space and Other Spaces, edited by Bill Fawcett, Baen Books, 1992. Balin Jurgenevski along with two others volunteer to take an experimental spaceship to deliver and pick up goods at a space colony. The spaceship was a dual project between humans and a friendly alien race but it's not quite clear how easy or likely it will work so the 3-person crew is being offered a whole lot of money to try it out. Once aboard, the three find that the ship practically takes care of itself and they have little work to do besides take care of the ship cat, Kelvin. The ship's operating system has user profiles for each person and thus, prepares, delivers, and checks in on the specifics of each person. One day, they decide to create a user profile for Kelvin and sure enough, the ship's adaptive program begins caring for and working with Kelvin. During one of the jumps, the crew end up in a dangerous part of the galaxy where a known race of alien blobs regularly seeks to do them harm. An alien ship arrives and starts to attack with a beam that paralyzes the humans but Kelvin is still free. The ship's computer works with Kelvin to fight the other spaceship and destroy them. The rest of the mission goes well and they all speak on Kelvin's behalf as an official crew member. A fun story overall. It seemed clear pretty early the direction that it was going but it still was a good ride (pun intended). The dynamics between humans and cats made sense and were humorous.